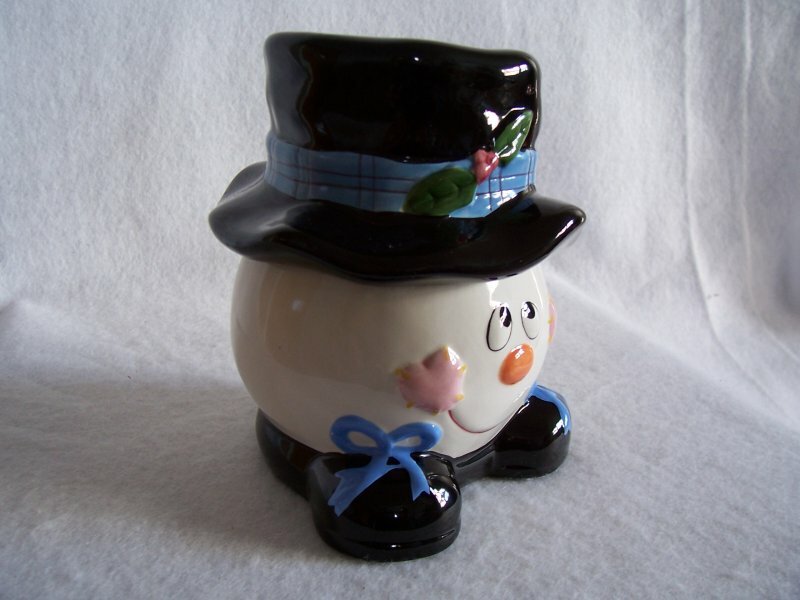 Adorable Frosty the Snowman treat or candy jar. 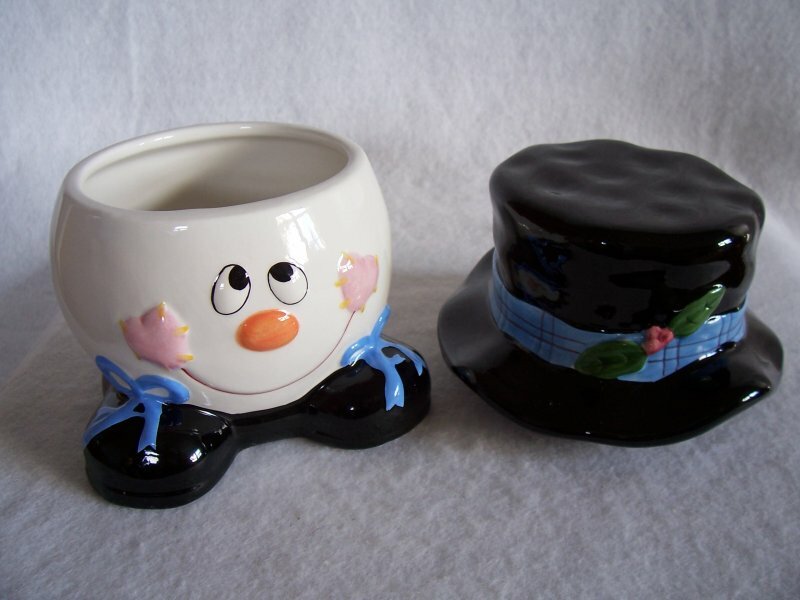 Fill with candy or fill with pet treats for holiday gift giving. Jar is in gently used condition although it appears to have never been used. No chips, cracks or scratches. There is some faint crazing on the outside.Treat or candy jar measures 6 inches tall x 5 inches wide. Holds 16 ounces. 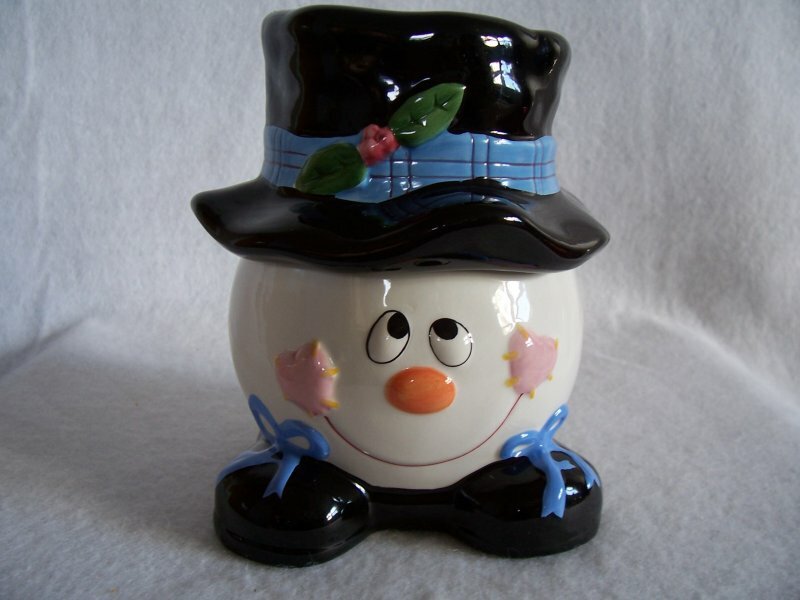 Adorable Frosty the Snowman treat or candy jar. 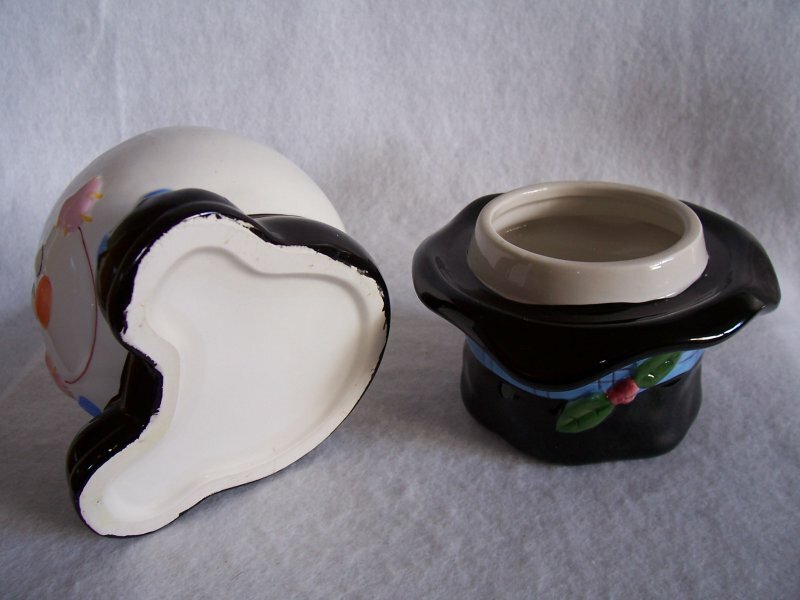 Fill with candy or fill with pet treats for holiday gift giving. 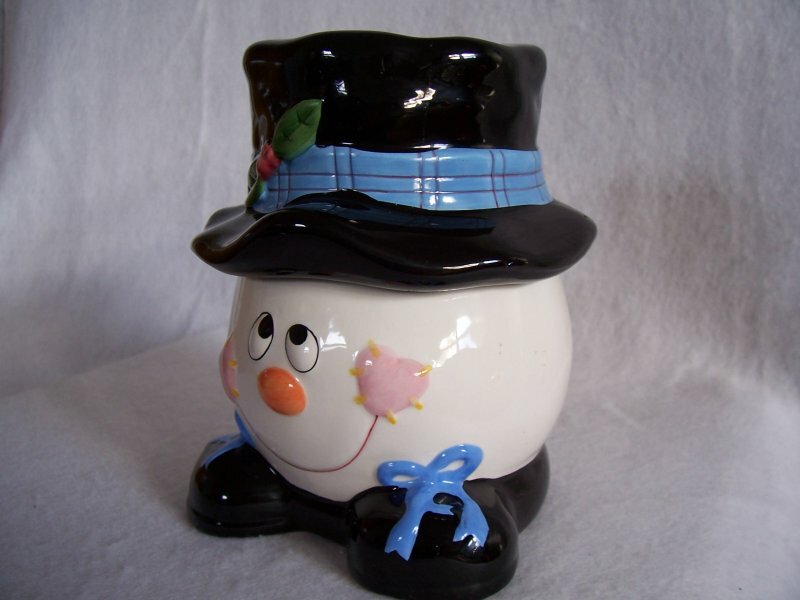 Jar looks like the cartoon Frosty the Snowman face, sitting on his blue ribbon tied black boots and wearing the famous black top hat garnished with blue ribbon and holly leaves and berries. Jar is in gently used condition although it appears to have never been used. No chips, cracks or scratches. 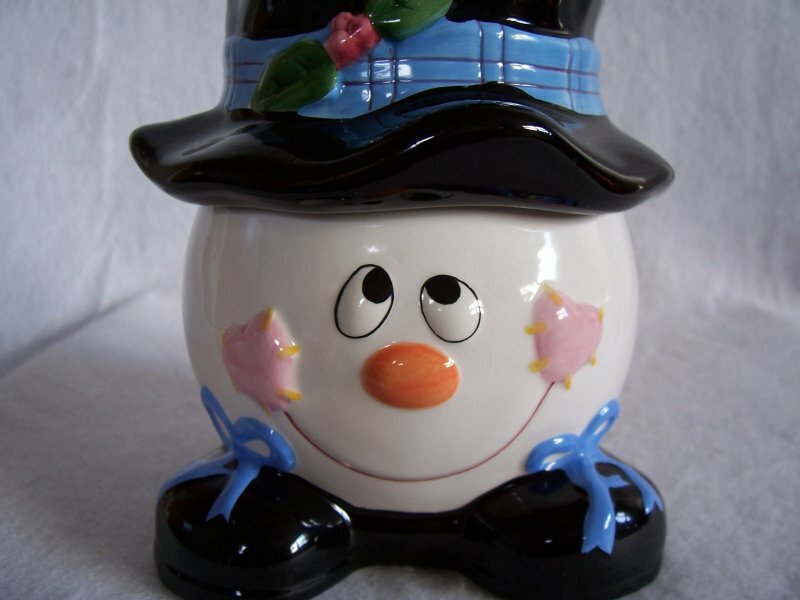 There is some faint crazing on the outside.Treat or candy jar measures 6 inches tall x 5 inches wide. Holds 16 ounces.